Landscape morels are considered good candidates for cultivation since they don't appear to be dependent on seed plants for fruiting. Morchella importuna is fairly common in the northwest of North America with unconfirmed reports in the Midwest and East. It is usually found in gardens, planters and landscaping sites in early spring. 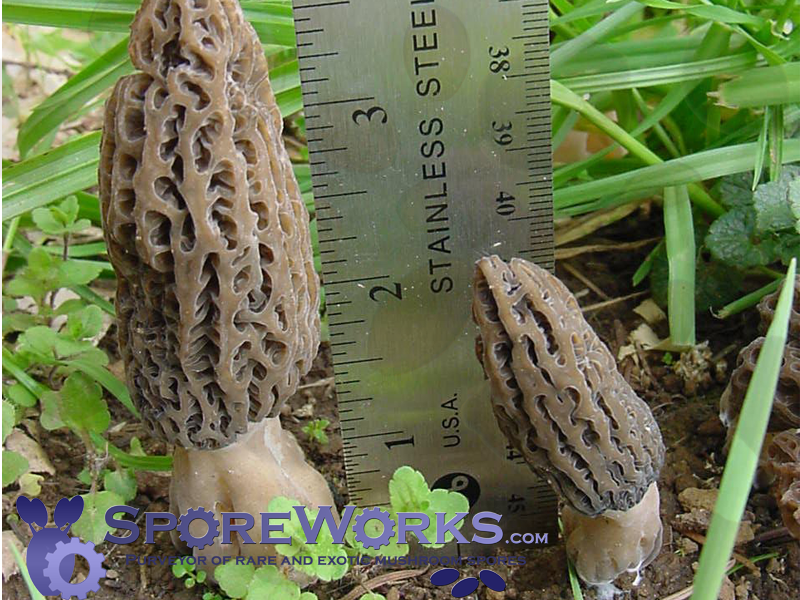 The morel strain provided here was isolated from a wild Oregon, USA specimen and successfully fruited in a disturbed garden habitat in March 2004. This sample was previously provided as "Morchella elata group" but was recently confirmed to be Morchella importuna through genetic analysis. 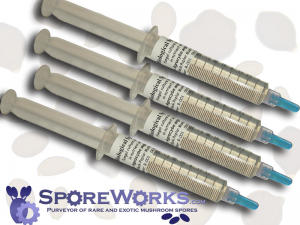 Currently, there is no reliable method of fruiting morels under laboratory conditions. 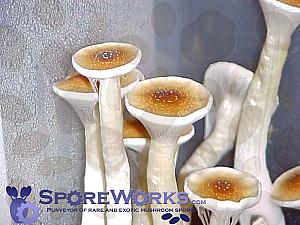 We offer this species for experimental purposes and make no guarantees beyond the viability of the culture and its ability to form sclerotia. Outdoor cultivation is recommended for the highest chance of success. See also Morchella rufobrunnea - Yellow Landscape Morel. 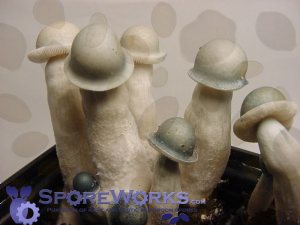 The formation of sclerotia is widely accepted as the preliminary stage to the formation of morel mushrooms. 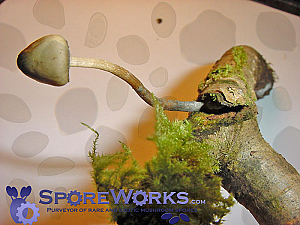 A morel sclerotium is a hard mass of compressed mycelium that forms underground during the late spring and summer. It is thought to be a dormant structure in the morel lifecycle that allows it to over-winter. The sclerotium can then quickly spring to life with the warm spring rains. Using a presealable MycoBag(TM) with self-healing injection port, place a cup or so of soaked and well drained grass seed on the bottom near the injection site and a thick layer of moist hardwood sawdust on top. Seal with an impulse sealer and sterilized at 15psi for 2-3 hours. After cooling, inject the culture syringe into the grass seed and let it colonize at 60-65F for at least 3 weeks. Do not mix the grass seed with the sawdust. The morel mycelium will feed on the grass seed and use that energy to grow sclerotia in the nutrient poor sawdust. There should be plenty of the small orange sclerotia visible before planting outside. In November-January, dig a small depression in a shady garden area and sprinkle it heavily with garden lime. Dump out the sawdust layer into the depression and cover it with garden soil mixed with a few handfuls of lime and ignore it. With luck, morels will appear in the spring. Alternative methods recommend mixing wood ash with the sclerotia as black morels are often associated with burn sites. This was not attempted with this strain. The above method can be attempted with jars but the grass seed should be placed on top of the sawdust instead of the bottom. We would be interested in any reports of success with this culture.